Wideband recorders draw upon diverse disciplines of new technology to keep pace with the explosion of the number of information traffic channels and increased bandwidth. Fortunately, many of these technologies are driven by large worldwide market forces, which feed off our planet’s insatiable need for connectivity and storage. With no perceivable upper limit to speed or capacity requirements, wideband recorders will continue to serve critical roles in both deployment and development of vital military and aerospace systems. The inexorable race to maintain superiority of military warfighting infrastructure means increasing the complexity, quantity, and capacity of high-speed signals that flow among sensors, targets, equipment, and platforms. Yet more so than ever before, successful outcomes against the enemy depend heavily upon timely exploitation of information gleaned from intercepting these signals. Because of these two conflicting trends, new solutions and strategies are mandatory to capture, classify, decrypt, and decode this growing landscape of signals as efficiently as possible. One essential class of tools in this effort are wideband recorders that can capture analog and digital signals and can make them available for immediate tactical action, detailed analysis and decryption, upgrading equipment to deal with new threats, and developing new equipment. Integrating advancements in components and technologies into deployable instruments that achieve maximum performance, ease of use, and operation in adverse environments requires a thorough understanding of the elements and how they interact. Mission recorders are systems that capture live signals in a wide range of environments and operating conditions, with many different configurations. They are widely deployed in virtually all military platforms, mainly for gathering signals of interest for transmission to another platform, or for offloading data for analysis after completion of the mission. For example, intelligence-gathering missions can use unmanned platforms to perform a spectral survey of a battlefield or hotspot. Analysis of the recordings can provide a wealth of information about which types of radios and satellite links are being used and may identify the ground platforms. Decoding and decrypting these signals can yield valuable intelligence and patterns of communication. Airborne recorders can also capture radar signatures illuminating the aircraft from ground, sea, and other airborne platforms. Because these signals are recorded, they can be quickly sorted into known signatures for immediate use by the pilot or forwarded to a ground station for further analysis and classification. New, unknown radars can be investigated, cataloged, and then added to the library of known signatures. When the opponent develops new signal-encryption and anti-detection techniques that thwart extraction of information by existing equipment, new receivers must be designed. After capturing these new signals, some recorders can play them back in real time in the laboratory. By reproducing them on demand, these signals can be used iteratively for testing during the development of new or enhanced receivers or radars. Lastly, recorded communications and radar signals can be used to design carefully crafted countermeasures such as cloaking, jamming, and spoofing. Often, these new designs can be delivered over the air to update military equipment for automated and real-time electronic countermeasures against platform-specific enemy equipment. For successful operation across this wide range of applications, environmental requirements for wideband recorders can be tough to meet. Temperature extremes for mission recorders can range from -40 ºC for an aircraft in Alaska to +80 ºC for an unmanned ground vehicle operating in the desert. Shock and vibration levels found on many platforms pose serious threats to rotating-media magnetic drives with their sensitive mechanical structures to keep the heads in contact with the platters. To maintain operation under challenging conditions of humidity, fungus, altitude, salt spray, and sand, designers must carefully seal the recorders to protect internal structures and electronics. Electromagnetic emissions pose double-edged requirements: First, the recorder must not radiate energy that could interfere with other equipment on the platform. Secondly, the recorder must be immune to interference from external sources such as high-power radar pulses and transients on the power lines. This capability becomes more critical in crowded equipment compartments. Some recorders must capture signals based on a hardware gate or trigger, such as a radar system recorder that may need to capture repetitive radar pulses and skip the intervals between them. Multiple recorders at different locations may need to start capturing data at the same sample clock to calculate the position of a satellite through triangulation based upon the relative phase of received signals. The best solution is often a GPS receiver in each recorder, fully integrated with the recording software and hardware. An increasing number of applications require precise time-stamping of each recording, often resolved to a specific sample clock. In many cases, the recorder is located in an aft cabin or wing compartment and must be controlled remotely by a pilot from the cockpit, or by an operator on the other side of the world via satellite link. Perhaps the most fundamental requirement for these recorders is the bottom line: they must capture data continuously at the required rate for a specified duration under all conditions with absolutely zero loss of data. Solid-state drives (SSDs) offer significant reductions in size, weight, and power (SWaP) compared to rotating-media hard drives, although their high original pricing made them economically feasible only for high-end military applications. Now, however, inspired by enormous commercial markets and after more than a decade of continuously-evolving new technology, costs are now very competitive with hard drives. At the same time, density, speed, and capacities are steadily improving. 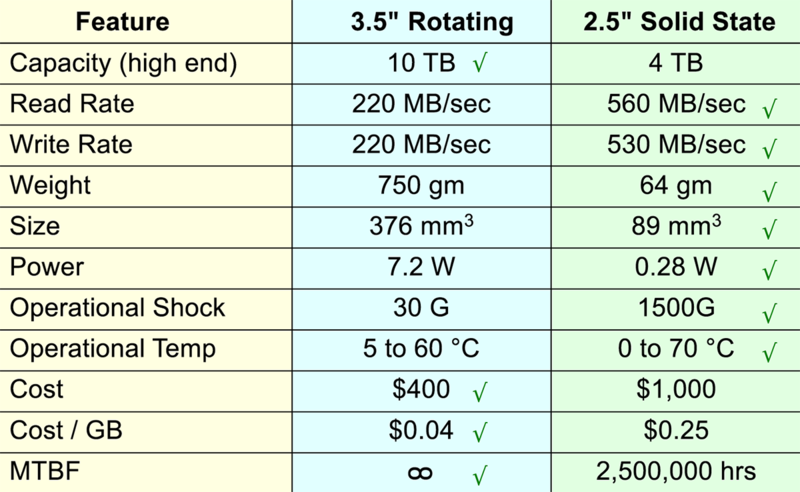 Figure 1 compares the essential attributes of typical high-end hard drives and SSDs currently available. Unlike earlier cost/capacity ratios between the two types, which differed by factors of 100 of more, now it is just over six, and dropping. Figure 1: SSDs offer many performance and environmental advantages over rotating drives for wideband military or aerospace recorders. Winning attributes are marked with a check. Another critical benefit of SSDs is their immunity to shock and vibration: In older systems, extreme measures of protection were required to isolate these effects from rotating drives, making systems bulky and expensive to maintain, so SSDs naturally presented an immediately attractive alternative. High-bandwidth analog and digital inputs push recording rates far beyond the capability of a single drive, forcing the use of RAID [redundant array of independent disks] controllers to aggregate the speed of multiple drives. The latest generation of SSDs offer data read/write speeds far exceeding those of rotating drives, thus reducing the number of SSDs in a RAID array to meet a guaranteed recording rate. The world must share a single radio-frequency spectrum that struggles to support ever-higher traffic, forcing the governments to stringently regulate and allocate thousands of bands for specific uses, representing a virtually unlimited number of targets for intercepting and recording critical information. Use of each precious frequency band for maximum information bandwidth, reliable performance, and adequate security mandates complex digital signal processing techniques at both ends of the signal path. Spread-spectrum techniques and the insatiable demand for data at every level of the economy can only be met with wideband modulation schemes. This demand drives the need for fast data converters to capture and generate these wideband signals to keep pace with vast markets of communications, radar, and wireless networks. To capture as much of the RF spectrum as possible during a mission, wideband signal recorders must digitize antenna signals at high sample rates, generally at least twice the bandwidth of the signals. Some new monolithic analog-to-digital converters (ADCs) operating at sampling rates at 6.4 GHz can digitize nearly 3 GHz of bandwidth, nicely covering most critical radio bands with the help of some RF tuners at the front end. Some wideband recorders must capture all digitized information at the full bandwidth, so that the extraction of information from unknown signal types can be attempted later on in the lab. In this case, the recorder must be capable of continuously recording gigabytes of data each second, perhaps for hours or days. In other cases, DSP techniques can extract information from the wideband ADC digital output stream for known radio channels within the captured spectrum by using DDCs (digital downconverters), decoders, and demodulators. This technique reduces the data rate for recording and subsequent downstream processing. For playback, digital-to-analog converters (DACs) reverse these signal-processing operations to fetch recorded digital samples from disk and deliver analog outputs at the original signal frequencies. Wideband recorder vendors usually take advantage of ADC and DAC board-level products, offering a modular solution for different analog interfaces to address diverse applications. Most of these feature FPGAs [field-programmable gate arrays] because of their configurable I/O ports for high-speed parallel LVDS and also sport gigabit serial links to match the specific requirements of each data converter. FPGAs can also implement the critical timing, triggering, gating, synchronization, and time stamping of the recorded signals. Most importantly, they provide wideband PCIe interfaces to system memory for access by the RAID controllers, supporting PCIe Gen.3 links with 8 or 16 lanes. Many recorders must also store and play back high-speed digital streams arriving in a wide range of different formats and protocols. Ethernet dominates this application space due to its widespread adoption and low-cost hardware infrastructure, including optical and copper interfaces, cables, routers, host adapters, and switches. 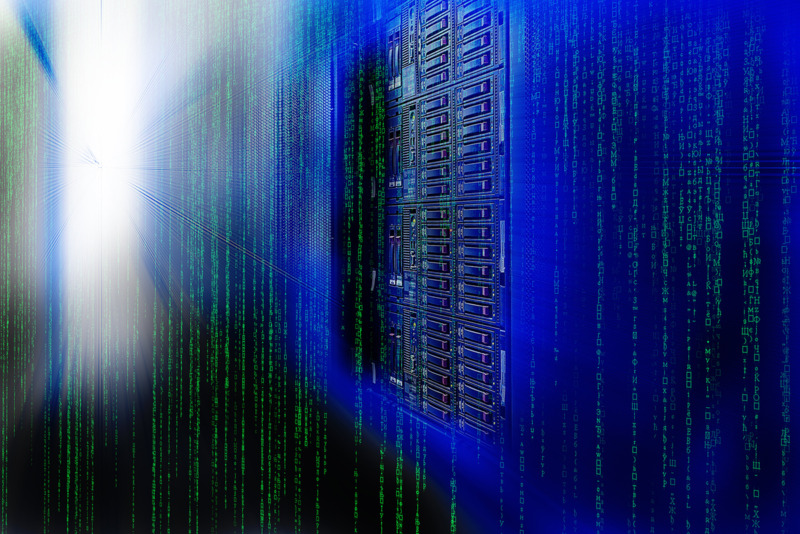 Virtually every computer system now sports one or more 1GbE ports, but higher performance systems are now migrating to 10, 40, and 100GbE ports. By taking advantage of commercially available Ethernet adapters, wideband recorders can support dozens of different interfaces. Optical adapters accommodate single- and multimode fiber with different wavelengths, data rates, distance spans, cable types, and optical connectors. Fortunately, most of these adapters offer PCIe interfaces with drivers for all popular operating systems. 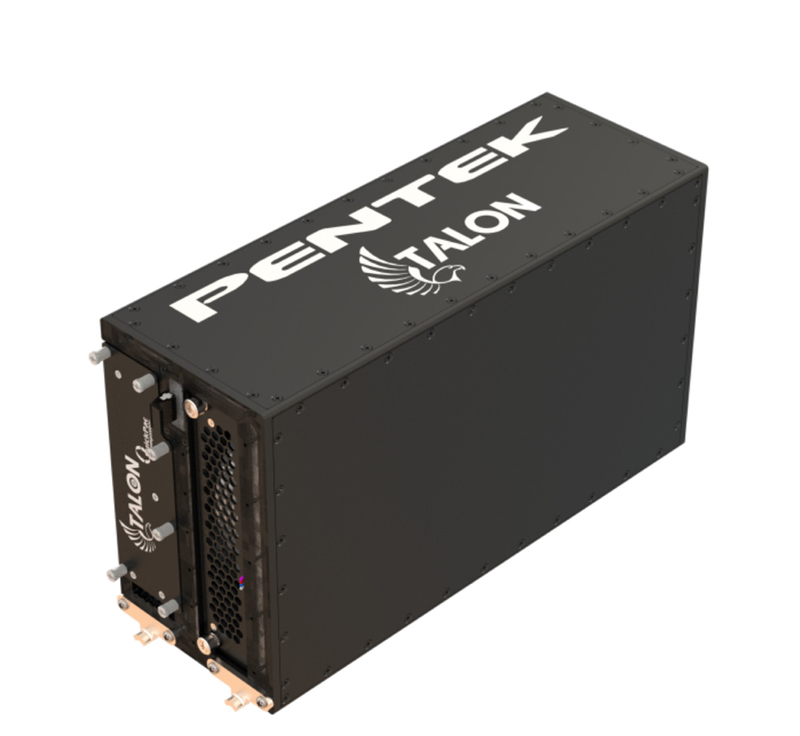 Figure 2: Pentek RTX25xx ½-ATR mil-spec wideband analog or digital rugged recorder is sealed against the environment. A field-removable QuickPac array of 8 SSDs stores 30 TB of recordings at up to 4 GB/sec. An API (application programming interface) library enables Talon recorders to be controlled from a remote facility or a larger system. 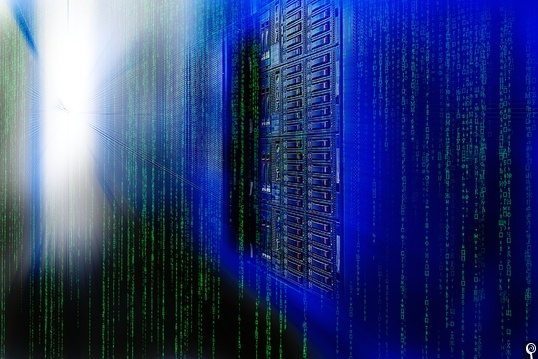 Wideband recording systems benefit from a wealth of new technology developed for the data server market, including RAID controllers and server-class computers. RAID controllers combine multiple disk drives using SAS or SATA ports, connecting them to the system over a PCIe interface. They perform two functions vital for wideband recorders. First, by striping reads and writes across each of the connected drives, RAID controllers aggregate the individual access speeds of each drive. With new SSDs rated for read/write rates of 500 MB/sec each, a 16-port RAID controller using a PCIe Gen 3 by 8 interface can sustain guaranteed read/write rates of 6.4 GB/sec for the array. Secondly, RAID controllers also aggregate the capacity of the drives for longer recording times. In the example above using sixteen 4 TB drives, the combined capacity is more than 48 TB, providing a recording time of over two hours at a recording rate of 6.4 GB/sec. These new RAID controllers and fast data acquisition boards are useless without a powerful PCIe system environment. Server-class PCs feature chip sets that join the CPU and fast SDRAM system memory to a number of PCIe slots and peripherals. The latest chip sets support Intel Core i9 CPUs, quad-channel DDR4 SDRAMs with 3600 MHz transfer rates, and multiple PCIe Gen 3 ports with as many as 16 lanes. 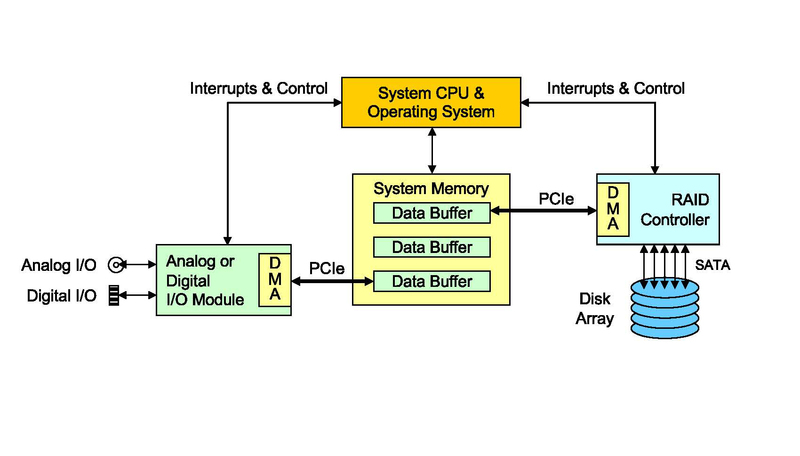 Figure 3: Hardware DMA engines in analog or digital interface modules and RAID controllers take advantage of fast PCIe data links to and from buffers in system memory provided by new chip sets in server-class PCs. The CPU supervises these transfers but never actually touches the data so that real-time performance is maintained. Although the CPU never “touches” the data in the scheme outlined above, the system CPU must orchestrate the transfers by setting up the number and size of data buffers in system memory before the recording starts, and then monitor the progress of each DMA operation during the recording. While simple in concept, choosing the appropriate transfer parameters is critical to achieving guaranteed real-time operation, primarily because of system latencies. Such latencies occur because of the burst transfer nature of DMA packets and the often-conflicting priority levels for myriad system processes. Each recording system requires an optimized configuration based on the number of channels, guaranteed recording rates, characteristics of the RAID array, and the architecture and chipset of the system PC. Rodger Hosking is vice president and cofounder of Pentek. He has spent more than 30 years in the electronics industry and has authored hundreds of articles about software radio and digital signal processing. He previously served as engineering manager at Wavetek/Rockland; he also holds patents in frequency synthesis and spectrum analysis. He holds a BS degree in physics from Allegheny College in Pennsylvania and BSEE and MSEE degrees from Columbia University in New York.